Any notion that James Horan’s second coming would magically cure Mayo’s football ills was obliterated in Castlebar on Saturday. 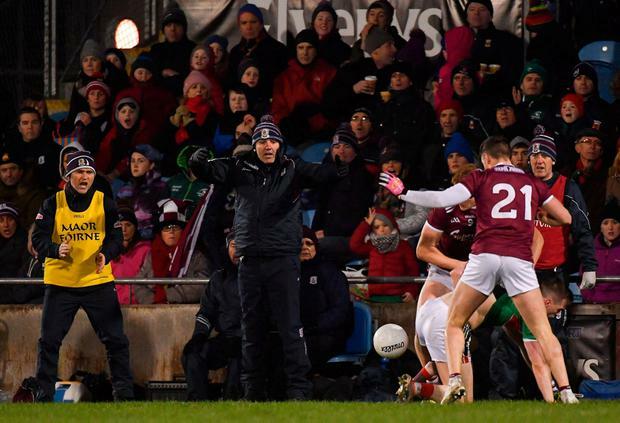 On an utterly depressing evening for the home side, they fell to their seventh straight loss to Galway in the last four years. Tribes boss Kevin Walsh did his level best to chalk it down as just another night at the office. “Game five of seven. It’s not about having so many (wins) in a row, it’s about us developing our players,” he suggested. Still, the journey home on the N17 was surely one to savour. 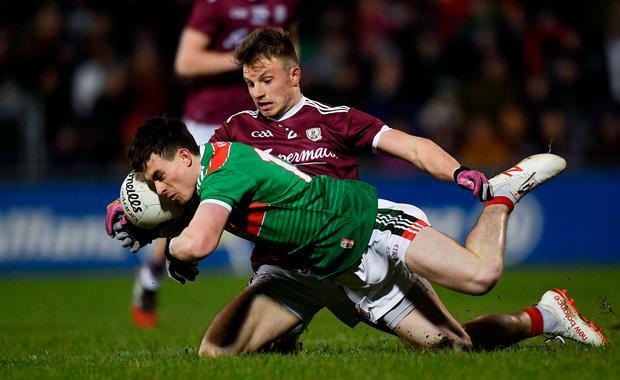 Not alone have Galway joined Mayo in second place in the Division 1 table, they have also tightened the vice-grip they now exercise over their next-door neighbours. Not since Mayo beat them in the 2015 Connacht final, in Walsh’s debut season, have the Tribesmen lost this duel. Since then Galway have chalked up three Championship, two League and two FBD League wins over Mayo on the spin. In his first stint as Mayo boss Horan never lost to Galway in either Championship or the League, but now he has suffered two losses in quick succession. “Every defeat is not great, but it all depends on how you interpret it. So we’ll see what are the first couple of things we need to work on and we will just grind away at those,” said Horan, who insisted there was no danger of his side developing a mental block about their meetings against Galway. Denying Mayo goals has been the single biggest factor in turning this fixture around for Galway. 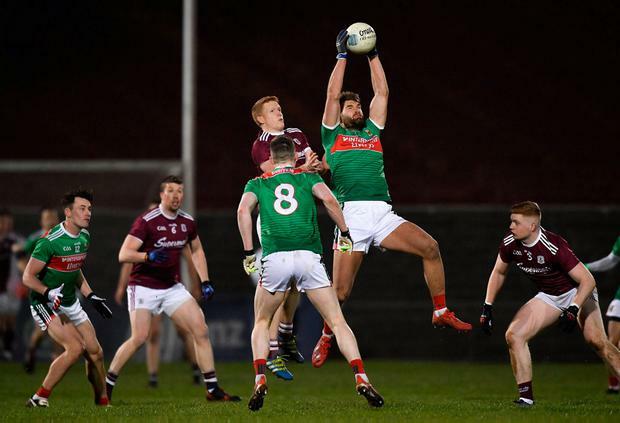 In their five Championship wins over Galway between 2011 and 2015, Mayo scored 11 goals, but have only managed three in their seven games since. Furthermore, Mayo have never managed to score more than 12 points against them in the last four years. However, they will scarcely have a better chance of winning than they had on Saturday night. They won more opposition kick-outs (13-7); had more shots from open play (18-11); more shots from placed ball (11-9); more attacks (40-30) and more turnovers (26-24). The two statistics which decided the outcome, though, was Mayo’s tally of 11 wides compared to six for the visitors, whose shot efficiency was 60pc compared to 41pc for Horan’s men. There were two key pivotal passages in the tie watched by a crowd of 10,675. Backed by a strong wind Galway raced into a 0-4 to 0-1 lead and were 0-5 to 0-3 up when Michael Daly and Barry McHugh were sin-binned within 90 seconds of each other. But while they were down to 13 men Galway scored 1-1 – with the goal coming via a counter-attack in which the impressive Antaine Ó Laoi prised open the Mayo defence with a delightful through-ball which Johnny Heaney flicked over David Clarke, allowing Danny Cummins to flick it to an empty net. Having failed to score from play until the 37th minute, Mayo finally got their running game going in the third quarter. Aided by three assists from Aidan O’Shea they kicked six points on the spin in 12 minutes to cut the deficit to one by the 55th minute. Inexplicably they allowed the momentum to slip as Andy Moran, Fionn McDonagh and Jason Doherty squandered key chances – the latter two coming from frees. 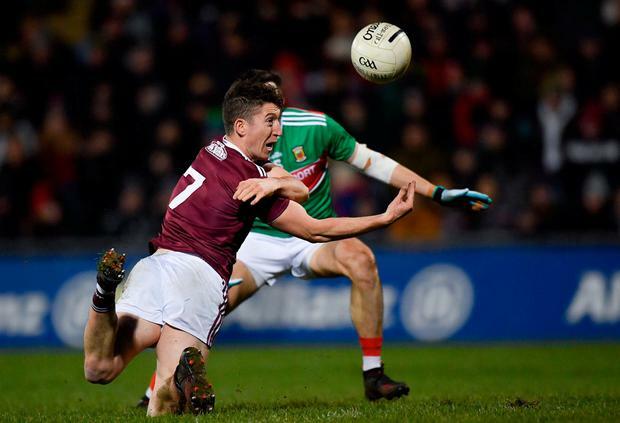 As Mayo’s frustration mounted their shooting became woeful and finally their discipline went awry, as Colm Boyle (twice) and then Lee Keegan gave away needless frees which Shane Walsh tapped over to secure Galway’s second away win. Not alone did they outscore Mayo 0-3 to 0-2 at the business end of the game, the Tribesmen held them scoreless in the final 20 minutes as Mayo’s consolation points didn’t come until the sixth minute of injury-time. “At certain stages of matches your character is tested and the two stages tonight was when we got the two black cards when they came back to a point. Sometimes you win the game, sometimes you lose the game, but all we can say is it was important that they showed character,” said Walsh, who started only seven of the players that featured against Dublin in last year’s All-Ireland semi-final. After shipping two losses on the spin, Mayo now face a trip to Tralee in two weeks. Suddenly they’re looking over their shoulders as any ambition of reaching a league final has all but disappeared. “It will be tough down there, but we look forward to the challenge,” said Horan, whose honeymoon as the latest Mayo messiah has surely come to an end. Scorers – Galway: D Cummins 1-2 (1m), S Walsh 0-5 (4f), A O’Laoí 0-2, J Heaney, M Daly 0-1 each. Mayo: J Doherty 0-7 (5f), M Ruane, D Coen, A Moran (1m), D O’Connor, D Vaughan 0-1 each. 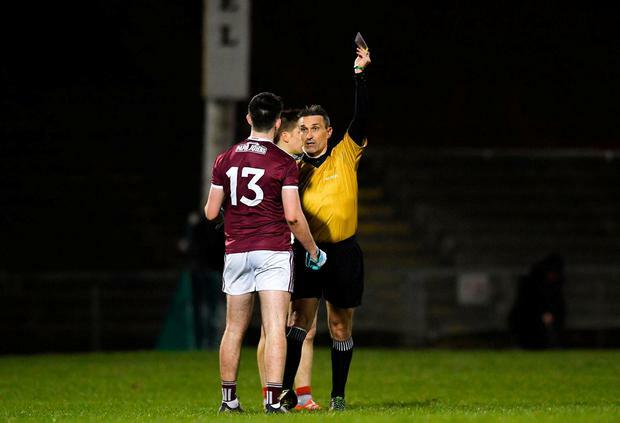 Galway – R Lavelle 7 ; D Wynne 7, SA O Ceallaigh 8, E Kerin 7, G O’Donnell 7, J Daly 7, J Heaney 7; T Flynn 7, C Duggan 7; A Ó Laoí 8, M Daly 6, P Cooke 7; B McHugh 5, S Walsh 8, D Cummins 8. Subs: G Bradshaw 7 for Flynn (ht), F O Laoí 6 for McHugh (ht), E Brannigan 6 for Cummins (53), P Cunningham for A O Laoí (70+1). Mayo – D Clarke 6; C Barrett 6, L Keegan 6, B Harrison 6, S Coen 7, C Boyle 6, K Higgins 7; M Ruane 7, D Vaughan 8, F McDonagh 6, A O’Shea 7, D O’Connor 6; J Durcan 5, D Coen 7 J Doherty 8. Subs: K McLoughlin 6 for Durcan (ht); A Moran 7 for S Coen (47), B Reape for McDonagh (67).